The inspiration for this piece was a photograph illustrating light contrast. 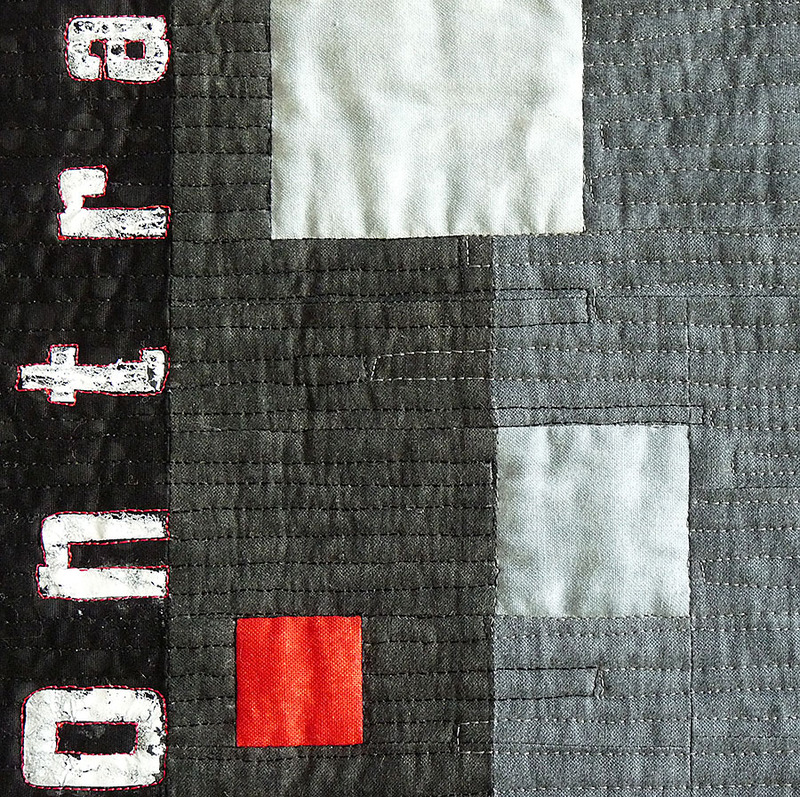 A pieced quilt using a range of value changes, from black to white in commercial fabrics. Simple free motion quilting hopefully helps to blend these value changes. The squares contrast in size as well as value. 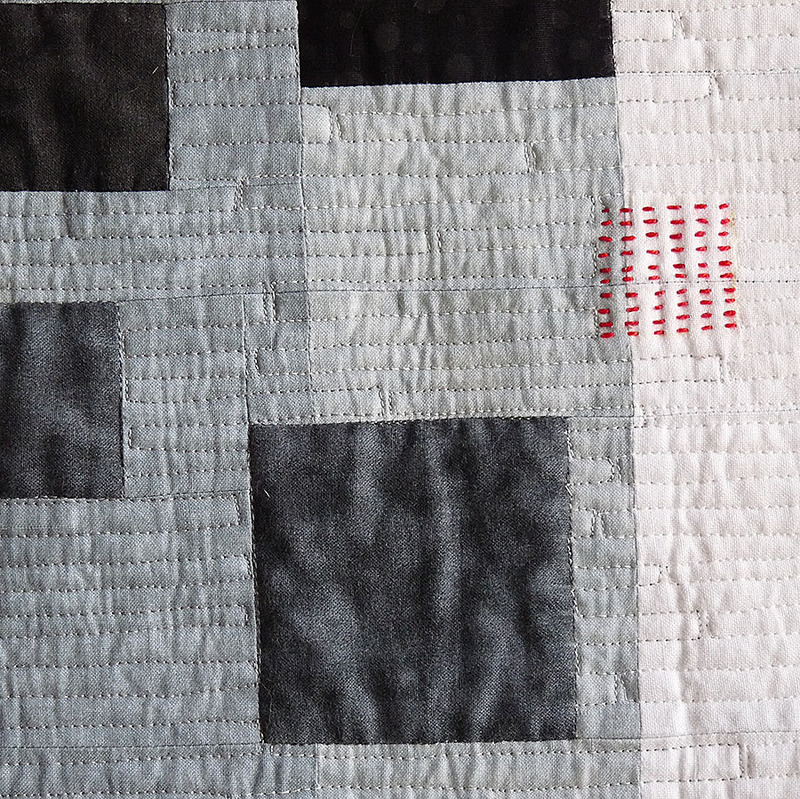 A touch of red adds the final contrast in the form of five small squares, two pieced and three hand stitched. 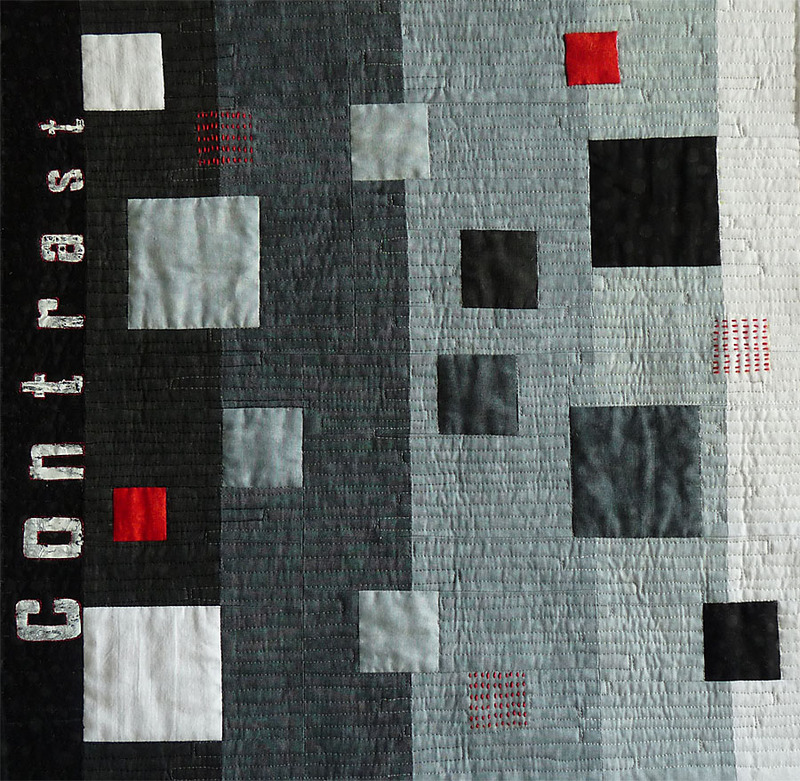 And so that we’re in no doubt, down the dark side of the quilt the word contrast in white painted fusible web! I like your contrasting sizes and shapes (curved letters, graduated sizes of motif) and especially that touch of red!